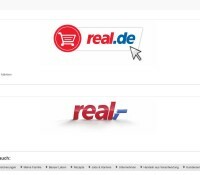 If you want to buy in Germany, you can look at the supermarkets there. In every city you can find such big groceries. However, German supermarkets offer not only food. The offer depends on the size and type of the warehouse. A small supermarket or discounter has, of course, a narrower range than a large hypermarket. Depending on this arrangement, one can find food, cosmetics, clothing, electronics, household goods, toys and other things in a supermarket. Every German supermarket accepts both cash and bank card payments. In the case of smaller groceries, however, cashless payment is not self-evident. If it is possible, however, you can recognize this by the MasterCard or Visa symbol at the entrance door. Large supermarkets and international discounters usually accept Euro payments. Some supermarket chains offer besides normal checkouts, also automated self-checkout machines, where the customers scans the goods themselves. The shopping at a German supermarket is actually identical, as in any other country. First you get a shopping cart, put the things in and go to checkout. Shopping bags are available at the checkout area. If you buy electronics or similar in Germany, you should keep the receipt. In case a device is broken, you can complain according to EU law. As a rule, alternative guarantees can also be used. Before shopping in a supermarket in Germany, it is worth taking a look at the ads and leaflets. With us you will find the optimal German supermarket.